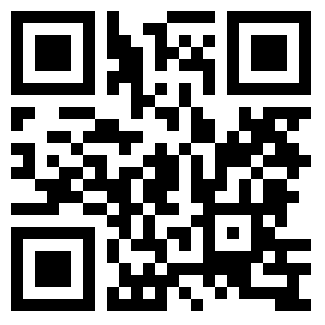 QR codes are the relatively new codes which you can scan with your smart phone. Often, advertisers use them to go to their websites, but other times they are used to give more information, such as at a museum. What if there was a QR code on the back of every wine bottle, beer can or bottle? What if there was a QR code on a card at every restaurant table or by the exit door? That card could be accompanied with a note, “Didn’t finish it all? That’s ok, give the rest away.” Then if you scanned it with your phone, it would donate a dollar to help feed someone in your community. Even though we waste a lot of food, I think people do understand that waste and would like to do something about it if it’s easy. Putting a picture of a homeless person at a patron’s table is not comfortable for most people but a QR code is safe, non-threatening, private and it’s not mandatory. Even if putting it on a beer bottle label would take regulatory changes, a restaurant could put out cards at their tables today. If it’s implemented to be almost effortless, diners would use it. If restaurants have no extra work, they would put up the cards and signs. If food banks could get the money directly, they would help promote it. It would connect those who have more than enough food with those that don’t. Played freerice.com and clicked on the Hunger Site to help feed someone, somewhere. This entry was posted in In the world and tagged Connections, Food Banks, Hunger, Jonathan Bloom, postaday2011, QR codes, wastedfood.com. Bookmark the permalink. I wonder if other charities are using QR codes as you suggest, as a way for people to make a donation at the click of a button. I personally have issues with giving my details to guys carrying coin buckets outside a train station. My first experience with them was when I first moved to the UK 6 years ago and I was asked for a UK bank account number (which I didn’t have) because apparently the donation collector was not allowed to accept cash. So yeah, the QR giving system would help people like me. I have seen QR codes on non-profit donation flyers, but not often. … I do find it interesting that you weren’t allowed to donate cash. I haven’t seen that here in the US. The red buckets the Salvation Army uses here are strictly for cash. Thanks so much for the comment, Una!